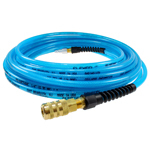 IMS & DBH proudly carries Air-Line & Hydraulic Oil, Pneumatic Tool Cleaner & Oil from CoilHose Pneumatics. Coilhose Pneumatics is a popular company that has swept everyone off their feet with an innovative approach that’s new to the masses. We have been known as one of the industry’s top leading manufacturer of the best air tool accessories and air line controls all around the globe. Air-Line & Hydraulic Oil are two of the many things they have highlighted in their company. Coilhose Pneumatics doesn’t want you to feel limited, that’s why they have everything under control. It doesn’t matter what you need, Coilhose Pneumatics has you covered. Their products range from hose and tubing to blowguns. Of course, it wouldn’t be a complete show without FRLs and quick disconnects. Coilhose Pneumatics wouldn’t be able to get this far without being innovative and critical. They ensure that our customer’s needs and concerns are being met right away. Before Coilhose Pneumatics products have been released to the market, it has gone through several tests to make sure that it comes in with unsurpassed quality. Coilhose Pneumatics has built a strict categorization process for quality purposes. Using the latest edge in technology, they always remain at the top due to their consistency and the will to be better than the rest. IMS & DBH is a premier and leading company that has been in the industrial machine industry for more than 25 years. We continually offers quality brands, products, and services worldwide. We proudly offer world-class professional machining services along with pneumatic cleaners and air-line products.